I can't believe another week has passed since I did my first 'This Week I've Been Loving...'! This week I chose a pair of eyeshadows that have been my go-to this week. The first is one of MAC's most popular shadows: Woodwinked. And the second is Maybelline's cream shadow offering in the form of 'On and On Bronze'. This was a shadow I bought purely because it is one of Zoella's favourites - and I'm not afraid to say it! It's one from the Veluxe Pearl range and it has such a buttery soft texture, making it a dream to apply and blend. 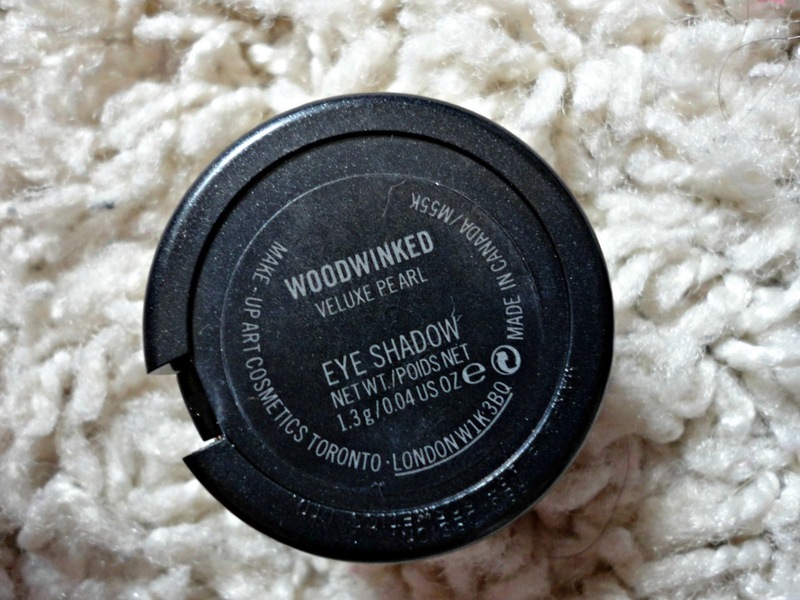 I've been using this in my crease to prevent my cream shadow wearing off through my long day! At first, I wasn't impressed by the colour as I found it more coppery (it is described as a "warm antique gold") than I'd expected so I definitely prefer to wear this with another shade rather than on it's own. Also, make sure you're careful about any fallout from this shadow, especially when using a brush like the MAC 217. As with 99% of MAC eyeshadows, the pigmentation is lovely too, with just one swipe giving a swatch like the one above! I've also used this with one of the MeMeMe Dew Pots and it works just as well! Such a versatile, pretty colour. 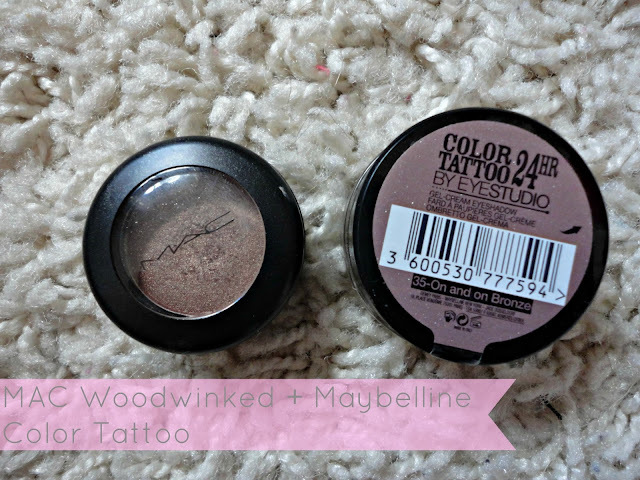 Maybelline Color Tattoo - "On and On Bronze"
I've actually had this Color Tattoo in my collection for a while now - along with "Eternal Gold" - but this one gets a lot more use. I know it's a favourite of many a blogger and YouTuber but it's such an amazing product that deserves all the hype! 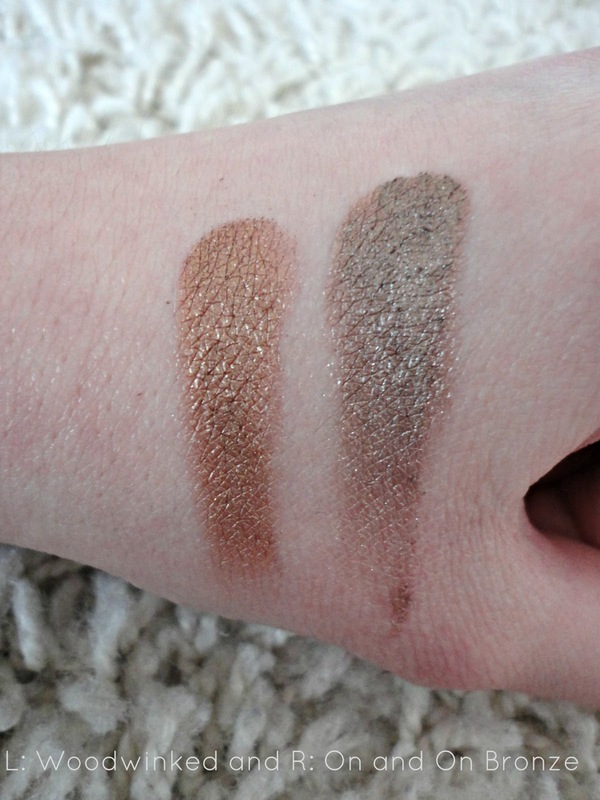 The pigmentation of it is amazing (see swatch) and the colour is so versatile and has a gorgeous satin sheen to it without being sparkly. I only have a few cream eyeshadows but love them all so I may look into getting more! 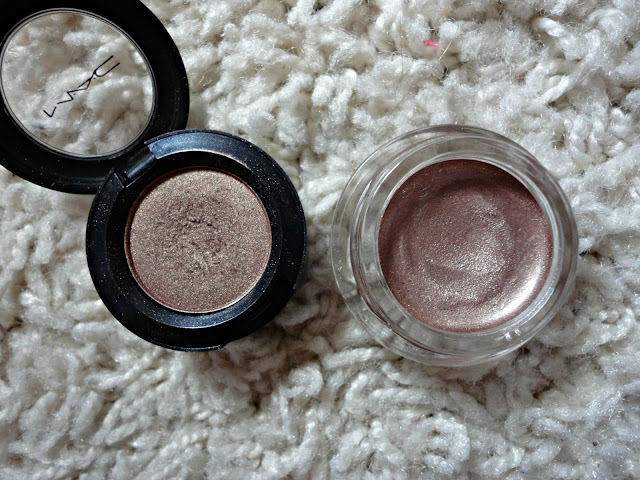 I know these have been compared to the MAC Paint Pots but I've never tried them so I can't really compare. However, I'm really happy with this drugstore option and the longevity of it is amazing. I can be out for up to 8/9 hours a day and it still looks good at the end of the day - maybe a few creases here and there. Also, I've just realised that they are only £4.99 which is so good! They just need to bring a few more neutral shades out - that would be perfect. 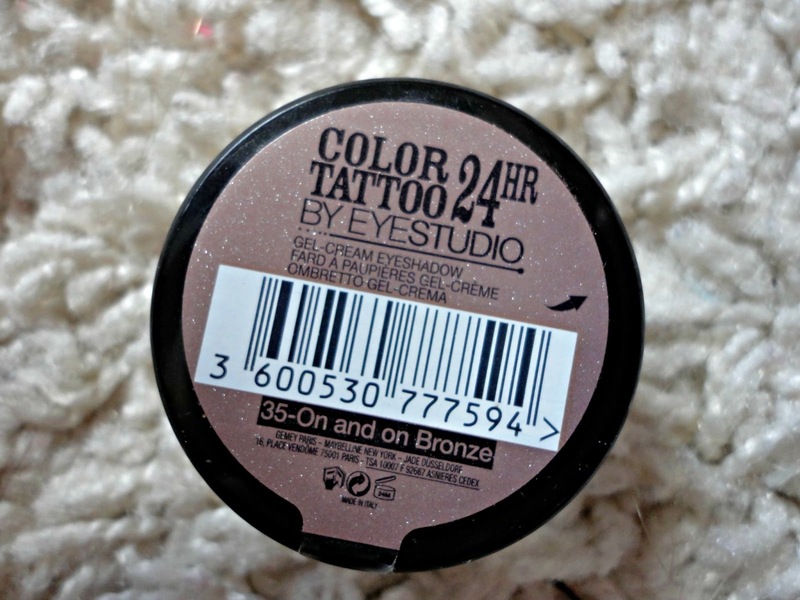 Maybelline "On and On Bronze"
ps. I'm using new photo editing software - I hope you like it! I really want to get my hands on On and On Bronze. I think in America it's called Bad to the Bronze? It really just seems like an awesome base color! Yes I'm pretty sure it's called something different in America :) It's amazing, especially for the price!